Client education can have a huge impact in accounting and professional service firms’ content marketing efforts. By providing prospects with increasingly valuable pieces of educational content, you can not only attract them to your firm, but also nurture them as they move into and through your sales funnel. Client education can have a huge impact in accounting firms’ content marketing efforts. By providing prospects with increasingly valuable pieces of educational content, you can not only attract them to your firm, but also nurture them as they move into and through your sales funnel. But it may come as a surprise that, according to research we have done, education can also play a decisive role at the very end of the sales process—when you may be focused only on the close, and nothing else. We conducted a study with the sales-focused organization, RAIN Group, that looked at the many factors at the end of the sales process that influence prospects, and that determine whether a firm wins a piece of business. In this study, we found one clue that was especially telling: the behaviors that separated the winners from the also-rans. Our study examined a total of 42 different factors involved in over 700 complex sales to learn exactly what the successful sellers did right—and what the runners-up did not. We asked the decision-makers for each of these deals to identify the behaviors that distinguished the winning firms from those that came in second place. What we learned when we looked at these factors was that educating the buyer was the one seller’s behavior that was most often reported by buyers. But it also came in dead last among behaviors of runners-up. Keep in mind, we are not talking about a firm creating new materials or presentations for prospects at the close of the sale. Rather, we are referring to conversations that a firm has with a prospect in which they share relevant insights about the client’s situation and potential solutions. To understand how this dynamic plays out, consider two hypothetical accounting firms that are the finalists for a major piece of business. 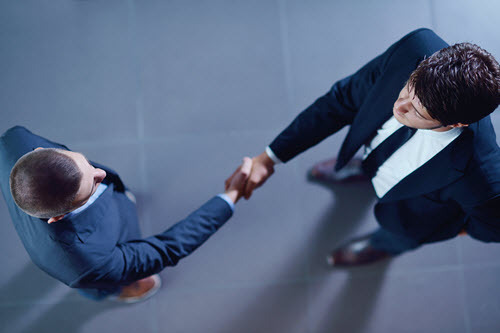 Both firms are having the kinds of seemingly routine conversations with their prospect that are typically aimed at closing the deal. A principal from Firm B, on the other hand, takes time to listen and talk about some aspects of the client’s challenge. He or she may also share some insights about another client who had a similar challenge, such as an interesting regulatory pitfall that was encountered, or a unique workaround the firm developed for the client. Our research indicates that of all the dozens of behaviors that could influence the sale, Firm B’s sharing of new educational insights and perspectives is most likely to tip the scales in its favor. further underscores the unique types of expertise and insights the firm offers. So, if education really can play a vital role in closing deals, why do so few firms do it? One reason may be that there is a deep-rooted, and quite understandable, wariness of “giving away the store.” Another possibility is the natural sales instinct to focus only on the close. Yet another may be that this tactic requires more careful listening during final discussions with the prospect, and making connections in real time with relevant facts, insights, and statistics that help the client better understand their situation or challenge. Whatever the reason or reasons, the data shows how powerful client education can be at the close—so it is a good idea to try to incorporate the strategy into your sales process. To do so may mean getting past some deep-seated instincts about “not providing services for free”—or being more patient at precisely the moment when you are most eager to close. The key is to understand that to really transform your close rate, this is the kind of strategy that is proven to produce the best results.